Enjoy hours of body-bobbling fun that's powered by the sun - no batteries needed! 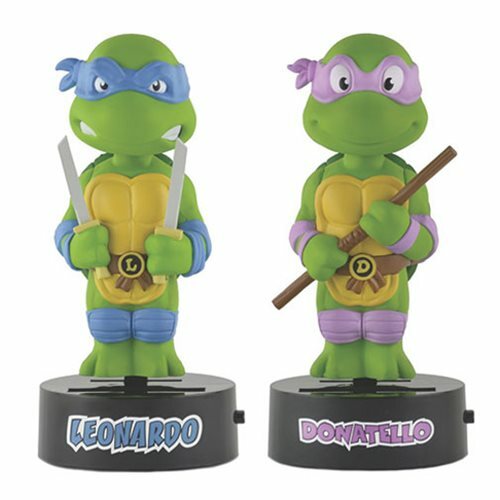 From the classic Teenage Mutant Ninja Turtles cartoon, Leonardo and Donatello stand 6-inches tall and rock from side to side when exposed to light. Collect the entire line of Body Knockers and watch your favorite characters work it all day long! Ages 14 and up.